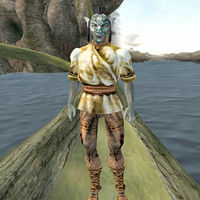 Selothril Llana is a Dunmer shipmaster who owns a vessel named the Canyon Crawler. He will transport you from the dock in Marog to Helnim for a small fee. This page was last modified on 6 March 2019, at 08:48.